Apple MacBook Pro MD213LL/A Review – What Can Users Expect with This Awesome MacBook? Don’t settle for a typical notebook when you can get something superior: a MacBook with the OS X Mountain Lion. The operating system for the Apple MacBook Pro MD213LL/A is superior to Windows. This system is also equipped with great hardware and software both. Some of the features can even be customized. The only thing it doesn’t come with is an optical drive. However, you really won’t need one considering that the OS X Mountain Lion allows for you to wirelessly use the optical drive of another Mac or PC. If you have to take the MD213LL/A with you when you travel, you can simply connect an optical drive to one of the USB ports. Additional mobile features include ultra-fast Wi-Fi networking and the latest Bluetooth technology. Since the machine doesn’t weigh very much at all, it’s easy to carry around. You’ll be able to connect to the internet anytime, anywhere. This machine comes with a 13.3-inch Retina display. With millions of pixels, it offers a superior viewing experience to say the least. Graphics and text look incredibly sharp. From a normal distance, the human eye cannot distinguish individual pixels. You will notice textures and details in images like never before. The native resolution is 2560×1600. The display uses innovative IPS technology in order to provide users with a very wide viewing angle. You can see everything clearly from almost any angle. If the 13.3-inch display isn’t enough, you can expect the same amount of quality if you connect the MacBook to a large high-definition television. The processor is an i5 dual-core model at 2.6 GHz. With Turbo Boost technology, it can get up to 3.1 GHz. There is 8 GB of onboard memory (1600 MHz), so you can expect plenty of speed when you want to run your favorite programs. The i5 processor and 8 GB of memory make multi-tasking an easy process. Speaking of speed, the transfer rate for this MacBook is much higher than that of the previous generation. Two Thunderbolt ports allow you to transfer data at superfast speeds. Turn this notebook into a versatile workstation. Hook a variety of peripherals up to it via USB 3.0 ports. You can also expect speed with the flash-based architecture. The system comes with 256 GB of flash storage. Since there is no standard hard drive, the MD213LL/A is lighter and faster than other notebooks. Whenever you run programs, you can expect them to be fast and responsive. The Apple MacBook Pro MD213LL/A offers most users what they need for doing their favorite tasks and running important programs. Whether you’re looking for a notebook to handle your day-to-day tasks, homework, entertainment, etc., you can’t go wrong with Apple. Want to know where you can find the best deal on MacBooks? At MacMall. Just grab some Apple MacBook Pro MD213LL/A coupons and head there to see your options. This is a notebook you really don’t want to miss out on – so get it while good deals are still available! These days, Windows-based laptops are a dime a dozen. They are affordable yes, but they become outdated in no time at all. If you want a portable PC that comes with advanced technology, you should consider investing in the Apple MacBook Pro MC975LL/A. MacBooks have always had a superior build compared to standard laptops. This model is designed to provide you with all of the performance you need. This device measures just 0.71-inches thick and weighs less than 5 pounds. The Retina display is an innovative Apple screen that can support up to 5.1 million pixels. The pixel density is so high that it’s impossible for the human eye to distinguish individual pixels. Images and text look extremely sharp – especially with the native 2880×1800 resolution. The MC975LL/A comes with a 2.3 GHz i7 quad core processor. With turbo boost technology, it can get up to 3.3 GHz. The speed dynamically accelerates whenever you need that extra boost of power. How much RAM do you typically use with your regular workload or gaming? This MacBook comes with 8 GB of installed memory. If that isn’t enough for your needs, you can go all the way up to 16 GB of RAM. This portable machine comes with plenty of connectivity options, including two USB 3.0 ports and two Thunderbolt ports. You can connect your high definition television and digital devices up to the MacBook. If you want to use it as a mobile companion, you can expect around seven hours of battery life per charge. One of the best things about the Apple MacBook Pro MC975LL/A is its flash based architecture. Since there is no fixed hard drive, the system has a super-fast startup and shutdown speed. The flash storage has a 256 GB capacity, which means you’ll have plenty of space to save your files and documents. There is plenty of flexibility with the graphics since the MC975LL/A can hold two video processors: an integrated Intel HD Graphics model (4000) AND a discrete NVIDIA GeForce model. This amount of graphics power enables the user to run just about any program or task imaginable. You’ll be able to multitask all you want without any problems. It’s easy to stay connected to the internet since this MacBook comes with advanced Wi-Fi technology. Its wireless networking is 802.11 a/b/g compatible. Bluetooth 4.0 is also available for this computer. Since the Apple MacBook Pro MC975LL/A comes with so many advanced features and superior technology, you can count on it lasting for years to come. If you’ve never had a MacBook Pro before, then this one is a great one to start with. Before you buy the Apple MacBook Pro MC975LL/A, look over MacBook coupon offers. Don’t let the cost concern you – with Apple coupons, you should be able to afford this great MacBook Pro. The best online store for getting this computer, as well as other Apple products, is MacMall. There are so many advanced, expensive laptops out there that the simple ones sometimes get overshadowed. If you’re just looking for an affordable laptop that can handle your day-to-day computing tasks, then you might be interested in the HP ENVY dv6t-7300 Quad Edition. Even though it’s not as advanced or as powerful as a multimedia laptop, however, doesn’t mean it lacks a good processor or decent amount of memory. In fact, it offers a lot of value for its affordable price. One area where it really stands out is its processing power. The Quad Edition actually comes with a 3rd generation Intel Core i7 processor, yet it’s no more costly than a desktop that offers a 3rd generation i7 processor. The base memory is an 8 GB (2 DIMM) model. This is more than what most people need to do their daily tasks. If you still want more, however, you can upgrade to 12 GB or 16 GB. It’s not necessary to add 16 GB of RAM to a notebook unless you really plan on using programs with intense 3D graphics and playing a lot of games. The battery life is pretty impressive for this PC. It comes with a 6-cell lithium battery that can be upgraded to a 9-cell battery. You can also go with two 9-cell batteries (lithium-ion) if you want. On average, the battery life will last five to six hours, depending on the settings and configurations. The Quad Edition comes with plenty of innovative technology, which is exclusive to HP. The SimplePass feature allows you to sign on to your notebook with just a swipe of your finger. The only person who will be allowed to access your important files is the user, since the user’s password is their fingerprint. The CoolSense technology will keep the temperature nice and cool. The temperature is automatically adjusted based on settings and usage. Even if you have a lot of heavy graphics running, CoolSense will still prevent overheating. The hard drive this system comes with is a 750 GB (5400 rpm) mode. It comes with ProtectSmart hard drive protection technology. There is an option for a 7200 rpm model if you want something a bit faster. If you prefer hybrid hard drives, you can go with a 750 GB model (7200 rpm). The optical drive is a SuperMulti (8x) DVD writer/player with dual layer support. You can add a Blu-Ray player as well if you want. All in all, the HP ENVY dv6t-7300 Quad Edition is a “simple” notebook that can do just about everything a more advanced laptop can do – and it’s available at an affordable price. There are many great options you can choose from when you configure it, and you can easily turn it into your dream laptop. Now that you know how to configure this notebook, you can check out some HP ENVY dv6t-7300 Quad Edition coupons. HP promo codes are really helpful. You never know what king of deals might be available at any given time. They can make this affordable notebook even more affordable! HP has built a lot of fine laptops over the years. Their laptops always come with the newest technology in the industry. The HP ENVY dv6t-7300 Select Edition is no exception to this, with its fast and powerful processors. You can download media quickly and keep your applications running smoothly. If you’re out to buy a laptop that can handle your every need, then this model is a great choice. Many people choose to use this laptop for entertainment, and with its superb display, decent graphics performance, and quality sound, it’s no wonder. The amazing audio comes out of the Triple Bass Reflex Subwoofer. You can carry the laptop around with you and enjoy your entertainment wherever you go thanks to the Select Edition’s wireless technology and long-lasting battery life. The battery can last for up to 9 hours per charge, depending on the settings you select. The notebook is powered by a 3rd generation Intel core processor (i5 model) at 2.5 GHz. It can go up to 3.1 GHz with Turbo Boost technology. If that isn’t enough for your needs, you have the option of upgrading to an i7 model for even better performance. How much graphics power do you think you’ll need? The system comes with integrated HD graphics (4000). However, if you want to play games with 3D graphics, you might want to go with a NVIDIA GeForce GT graphics card, which includes 2048 MB of dedicated video memory. Don’t worry about cost – the great thing about HP laptops is that there are usually promo codes going around which help online shoppers save. Another feature you have the option of upgrading is the memory. The HP ENVY dv6t-7300 Select Edition comes with 8 GB of system memory (DDR3), with options to upgrade to 12 GB or 16 GB. Most users find 8 GB to be plenty enough, so you might not have to upgrade unless you think you’ll really need an extra boost of RAM and speed. The hard drive is a 750 GB (5400 rpm) model. If you’d prefer a hybrid hard drive, you can choose a model that has 750 GB of storage space (7200 rpm). This laptop also comes with room for an optical drive. It’s up to you whether you want to add a Blu-Ray player/writer or not. Overall, the HP ENVY dv6t-7300 Select Edition gives exceptional performance. It can be customized as a gaming PC if you’d prefer the flexibility of a laptop rather than a gaming desktop. You can keep it at home or take it out with you wherever you go as a portable companion – the choice is yours. As mentioned above, there are ways to save when it comes to HP computers. With HP ENVY dv6t-7300 Select Edition discounts, you should be able to get this great laptop at an affordable price. There are tons of positive reviews on the Select Edition, so order your laptop today to find out why everyone loves it so much! The Lenovo IdeaPad Y400 is a notebook ideal for mainstream users. It comes with a swappable bay, Ivy Bridge Core i7 processor, JBL speakers, and more. You can configure it however you see fit. There are a number of customization options available for this notebook. This system is good for gaming and other high-performance multimedia. Who says you have to have a huge, expensive multimedia desktop in order to enjoy your favorite games and videos? This affordable notebook can handle most games very well. The Lenovo IdeaPad Y400 supports high definition video editing. You can you can create, edit, and upload videos and share them with the rest of the world. The Dolby Home Theater and premium speakers deliver high quality audio. Listen to your favorite songs and watch films in the highest definition possible. Another great thing about this notebook is that it features NVIDIA GeForce graphics. You have the option to go with a 2 GB (GT650M) model that supports DirectX video and games. This is the type of graphics power that’s usually found in multimedia desktops, so it’s nice to know that this Lenovo laptop features it. Memory is another important aspect you should consider when it comes to notebook computers. The Y400 comes with 8 GB of memory (DDR3). This should be enough RAM to provide your system with plenty of speed. With this kind of speed, your system and applications should run quickly and smoothly. The overall design is both aesthetically pleasing and functional. The innovative touchpad is optimized for Windows 8 functions. Users can scroll, zoom in and out of web pages and documents, rotate functions, flip images, and more. This is an average size system that weighs in at 5.51 lbs. There is no shortage of connectivity ports: 2 USB 2.0 ports, 1 USB 3.0, 6-in-1 card reader, HDMI, VGA, and more. Connect this notebook to just about any other electronic device imaginable. As wonderful as the 14-inch high definition display is, you can still hook the laptop up to an external display. The hard drive is a 1 TB (5400 rpm) model. The IdeaPad is also compatible with a 16 GB solid state drive. You can add both of these to your order when you customize it. There is room for a Blu-Ray disc drive or DVD writer/player if you want those as well. Now you know what to expect when it comes to the Lenovo IdeaPad Y400. This is a good multimedia notebook, and you can’t go wrong if you want to buy it. Not only does it come with everything you need, but you can customize it and add more on to it if you wish. If this Lenovo IdeaPad Y400 review has you interested, you can check out some Lenovo promo codes that will help you save on you order. Be sure to learn about your customization options so that you can add all of the notebook features you need. Whether you want to use it for general purposes, multimedia, work, or any other reason, you can tailor it to suit your needs. The Lenovo IdeaPad Y580 is a high-performance notebook with a great processor and large hard drive. With its small, thin frame and powerful technology, you get a good entertainment PC and portable companion all-in-one. Enjoy your favorite multimedia while on the go. You could also keep it around the house and use it as a replacement for a desktop. With a 3rd generation i7 processor and 8 GB of DDR3 memory, you can run just about any program you want. Multi-tasking is a simple process. This IdeaPad model comes with plenty of configuration options. You can upgrade whatever features you need more of and downgrade features if you don’t need them. The system comes with NVIDIA GeForce graphics that support all of the latest HD video editing technology and DirectX 11. You can enjoy online games, video streaming, 3D multimedia, and more. Everything runs seamlessly. The Dolby Home Theater that this notebook comes with enhances your home entertainment. The Lenovo IdeaPad Y580 weighs in at 6.2 pounds. It’s an average sized laptop with a 6-cell battery and 15.6-inch screen. You get to choose whether you want a standard 1366×768 display or a full high definition 1920×1080 anti-glare display. You will find that the keys are rounded for comfortable and accurate typing. Even though they’re comfortable, they aren’t so smooth that your fingers will end up slipping. The palm-rest and cover are also cool to the touch. You won’t have to worry about anything overheating. Not every laptop has the ability to run with an i7 processor, but this one does. A 3rd generation i7 3610QM processor is about as good as it gets. With 750 GB of hard drive space, you’ll be able to save and backup plenty of files. If that isn’t enough space for your storage needs, you can go up to a 1 TB model and an optional 32 GB solid state drive. Additional features include a 720p HD webcam, 6-cell battery, HDMI output, USB ports, JBL designed speakers, and more. The exclusive Intelligent Touchpad is large, and features easy scroll, rotate, and zoom functions. Along with the HD webcam, this notebook features VeriFace security technology in order to prevent anyone who isn’t you from logging in. This face recognition software is a fun way to sign into your computer. With so many great features and technology, it’s no wonder that many consumers are giving the Lenovo IdeaPad Y580 high ratings. Fast processors, 8 GB of RAM, large hard drive capacity, superior graphics: you can’t ask for anything else. If you order it online, you will find that you can customize it with the features, hardware, and software YOU want. You don’t want to waste your money on cheap laptops that will tear up in no time. For this reason, you need to go with the Lenovo IdeaPad Y580. You can expect it to last for years. Check out some Lenovo notebook coupons and promo codes to find out how you can get a good deal if you order online. The Lenovo IdeaPad U510 is a stylish notebook with a thin and light design. It’s an ultraportable machine with a 15.6-inch display. It’s not much larger than an 11-inch or 13-inch notebook. Not only is it thin and light, it’s also durable, and can withstand the occasional bump. The edges of the case are curved inwards. This makes it a lot easier to open the lid. Both the base and the lid have stability. The surface has a sleek, metallic finish that gives the notebook a professional look. The U510 is available at an affordable price, which makes it a must-have for those who want a laptop that comes with the same amount of speed and performance as a desktop. The CPU multi-core capabilities are really impressive – especially if you order an i5 model with Turbo Boost technology. The entry-level model comes with an Intel Core i3 processor and HD 4000 graphics. This should be enough for you if you just want to use the notebook for general tasks. If you want to play games and enjoy other multimedia, you might want to go with an i5 processor and GeForce graphics. A 15.6-inch display with a 1366×768 resolution graces the Lenovo IdeaPad U510. The glossy display renders colors, images, and text beautifully. There is also an option to connect the notebook to a larger, external display if you want to keep it indoors. This model is also a good mobile companion for those who are looking for portability. As mentioned above, it’s no heavier or thicker than a 13-inch notebook. Its wireless and networking technologies make it easy to connect to the internet wirelessly, no matter where you go. According to battery life tests, this notebook’s battery can last for an average of four to five hours. It can last all the way up to eight hours if you select energy-saving options and dimness. This model comes with 8 GB of memory (DDR3 SDRAM) at 1600 MHz. This is a good amount of RAM for a notebook, so you can expect your applications and programs to run pretty fast and smoothly. The hard drive also runs pretty fast at 5400 rpm. Both 500 GB and 1 TB models are available. Even though there is no solid state drive available with this notebook, all of the hard drive models have a 24 GB solid state drive cache. In summary, the Lenovo IdeaPad U510 is the type of notebook that many consumers need. You can even customize it and choose the hardware and technology you need for computing tasks. It’s highly versatile, and YOU get to decide how you want to use it. 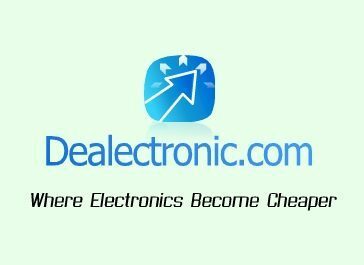 If you find this Lenovo IdeaPad U510 review interesting, then check out some online Lenovo promo codes. Did you know that online shoppers have access to exclusive discounts on notebooks not found anywhere else? Learn more about this notebook and your savings options. The Lenovo G780 is a laptop that comes with great graphics solutions, advanced processing power, and more. You can expect to hear quality sound coming out of the speakers. Use this laptop for all of your entertainment needs, and you won’t be disappointed. It has a 17.3-inch screen with LED lighting. The light renders images in the highest quality imaginable. With a resolution of 1600×900 and anti-glare capabilities, this display is able to deliver crisp text and clear images. The touchpad is embedded into the wrist rest area. Its matte finish and dotted surface makes gliding your fingers easy. The inputs are precise and multi-touch gestures are detected without any problems. A scroll bar is located along the right edge of the touchpad. If you would rather use a mouse, you can disable the pad with the right hotkey combination. As for the processor, this system comes with a 3rd generation Intel Core model (2.50 GHz). There is also an option for an i7 processor if you want a bit more speed and power. For the memory, there are 6 GB and 8 GB options available. You get to choose how much RAM you think you’ll need. When it comes to graphics, you can always count on Lenovo laptops to come well-equipped with video cards. This model comes with Intel HD graphics (4000), and if that isn’t enough, you can go with a NVIDIA GeForce video card. There is enough room for up to 1 TB of hard drive storage in the Lenovo G780. The system has a large memory capacity for multimedia data. The hard drive spins fast with 5400 rpm. Save all of your movies, videos, documents, audio files, games, and more, with plenty of room to spare. Another great thing about this laptop is that it stays cool for the most part. It doesn’t overheat like a lot of other laptops do. All of the vital areas, including the bottom, sides, and the touchpad area stay relatively cool. Stay connected to everybody you know with the built-in high definition webcam. Whether you just want to chat with friends or have business conferences with colleagues, you’ll find that that the webcam can handle sound and video in high definition. The webcam can also be used for security purposes, thanks to the face recognition sign-in technology. The Lenovo G780 is obviously a great laptop that comes with everything you need for handling most tasks. The price varies depending on how many Lenovo coupons you are using and which configurations you choose. Overall, you can expect to get a great deal on this notebook. Before you place your order, be sure to look over Lenovo G780 coupon offers. You never know what savings opportunities might be available. This is a must-have laptop, so be sure to make use of any promo codes you come across. Are you thinking about investing in an iMac? If so, then you might want to start with the Apple iMac MD096LL/A. This model comes with everything a computer user could ever need, including a 27 inch display. Imagine sitting in front of a desktop computer with a 27 inch screen! You can browse the internet, stream your favorite movies and TV shows, view photos, and so forth. It’s a new model that’s been redesigned. The enclosure is made out of quality glass and aluminum, and is up to 40% lighter in volume than its predecessor. This body is just 0.2 inch thick at its edge. The display is designed to reduce reflection and glare. Not only is the display large, it’s also of the highest quality. One of the greatest features of this computer is its Thunderbolt technology. This high-speed input/output technology makes it easy to sync in two directions. You can connect peripherals such as USB-enabled devices to the Thunderbolt port if you want to sync them with the iMac. The USB ports are 3.0, which means they are up to 20 times faster than the standard 2.0 ports. At the heart of every Apple computer is the Mountain Lion operating system. The OS X Mountain Lion is a highly advanced operating system for a desktop computer. The same company that makes Apple computers makes this operating system. This means that everything goes together to create a fully integrated system. You can count on everything working together perfectly. The processing technology for the Apple iMac MD096LL/A is an Intel Core i5 (quad core) processor at 3.2 GHz. With Turbo Boost, it can go up to 3.6 GHz. This is a considerable amount of power for an iMac computer. Along with fast NVIDIA graphics, this quad core processor can handle demanding applications with ease. Even though it doesn’t come with its own optical drive, this computer does have a DVD/CD sharing feature, which allows the user to wirelessly access the optical drive of another PC or Mac. You will have all of the full features of an optical drive even though one isn’t physically included with the iMac. You can expect plenty of storage space. This computer can handle a hard drive up to 1 TB. It runs at 7200 rpm. Since 1 TB is probably more space than you’ll ever need, you won’t have to spend any extra money on an external hard drive or flash drive. Overall, the Apple iMac MD096LL/A is a great choice of a computer, and with it you can do just about anything you want. There are no limits with the amount of power and speed it comes with. Did you know there are tons of great deals on Apple products online? If you want this iMac, you can just use an Apple iMac MD096LL/A promo code or two when placing your order. You never know how much money you can save! The MD104LL/A is a new model of the MacBook line. Like its predecessors, it offers superior technology and advanced graphics. You can view websites, videos, images, and more on the 15.4 inch LED backlit display. Everything is displayed clearly thanks to the 1440×900 resolution. If the 15.4 inch display isn’t large enough, you can connect the Apple MacBook Pro MD104LL/A to a larger display thanks to the DVI and HDMI technology. One really impressive feature of this model is its NVIDIA GeForce graphics (1 GB). This type of graphics card on a notebook makes it a must-have. You can view multimedia and play games just as you could with a good desktop. In fact, you can even use the MD104LL/A as a desktop replacement. This notebook comes with two USB 3.0 ports and a Thunderbolt port. These enable the user to connect the system to a variety of peripherals such as digital cameras and printers, as well as external displays. The MacBook also comes with a FaceTime webcam. You can have video chats with family and friends on the high definition 720p integrated camera. Thanks to the FaceTime application, it’s possible to make video calls to other Apple device users. The trackpad features a silky glass surface. It’s a buttonless trackpad that has plenty of room for finger movement. It offers multi-touch capabilities, which include scrolling, rotating, swiping, pinching, and more. You don’t have to use the MacBook as a desktop replacement. It also comes with everything you need for a mobile experience. You can stay connected to the internet 24/7 thanks to the wireless networking technology, which is compatible with 802.11 a/b/g connections. If you spend a lot of time on the go, you can make this notebook your mobile companion. The battery life can last up to seven hours. As mentioned above, the system comes with the OS X Mountain Lion operating system. Its software is built into every single MacBook. It’s a fully integrated operating system that goes together with all of the applications offered by Apple. You can count on this OS to deliver quality performance. How many notebooks do you know with subwoofers? Subwoofers are usually only found with powerful desktops, not notebook PCs. However, the Apple MacBook Pro MD104LL/A is one of the few notebooks that actually features subwoofers. It also comes with good stereo speakers to deliver high quality audio. You can listen to music the way it was meant to be heard. Overall, this MacBook is a must-have. You’ll be impressed with everything it has to offer. It’s a superior choice when compared with typical notebooks. If this Apple MacBook Pro MD104LL/A review has you interested in the system, you can check out some online discounts. MacBook coupons are available exclusively for online shoppers. You’ll be surprised at how much money you can save if you order MacBooks online.